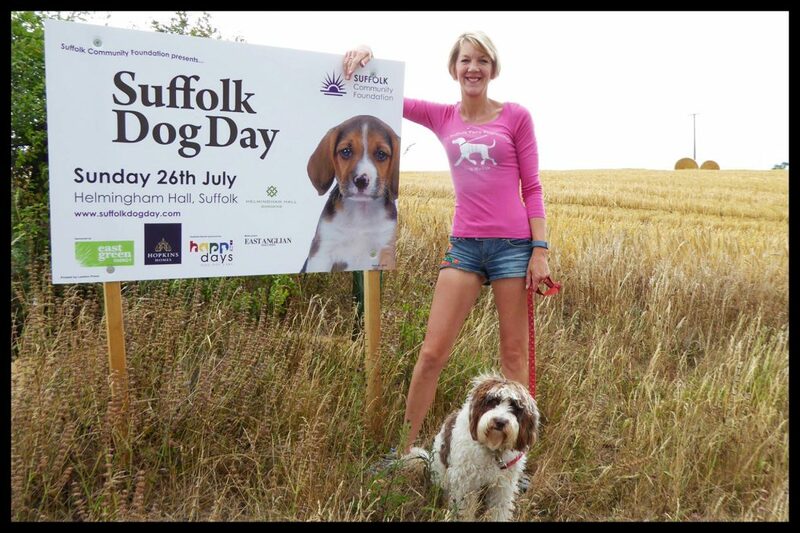 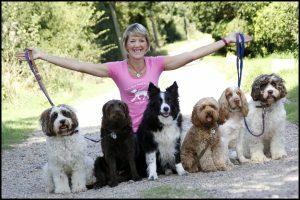 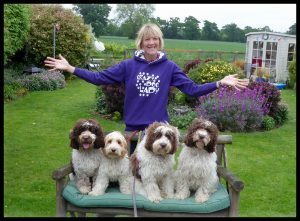 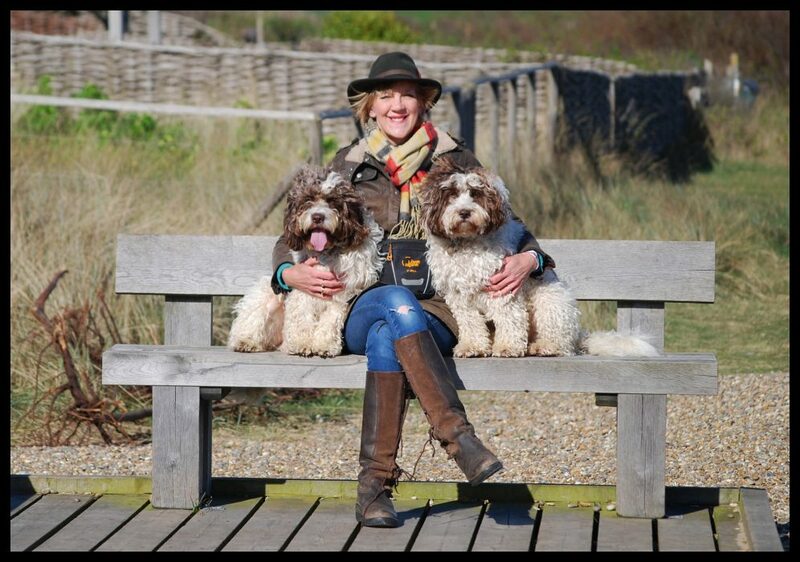 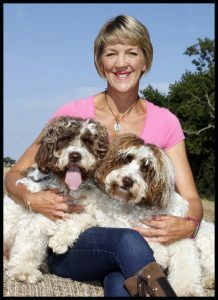 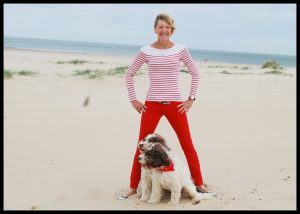 Tracy Root, that’s me with my two boys (Ruff & Tumble) I have been the Suffolk Fairy Dogmother for nearly 5 years and I have loved every minute of it, I have been lucky enough to have met some fantastic dogs as well as their owners, Every day is filled with Love and Laughter and I look forward to many more years of walking my clients dogs. 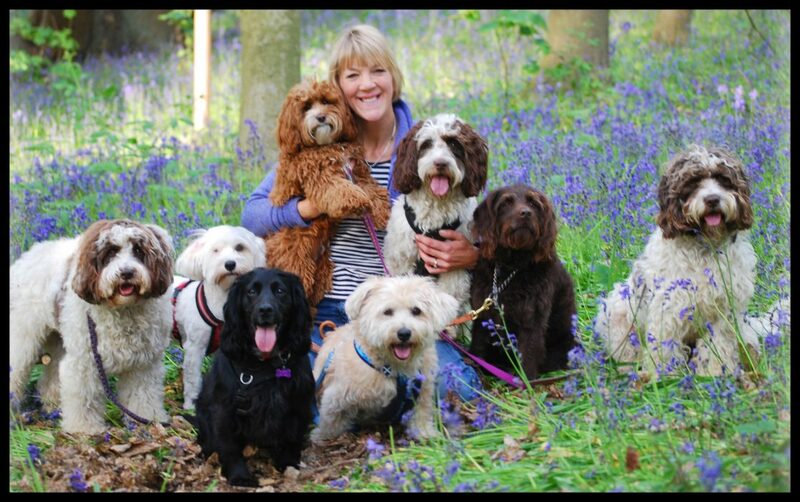 As for Ruff & Tumble, they love having their friends over and every day is a play day. 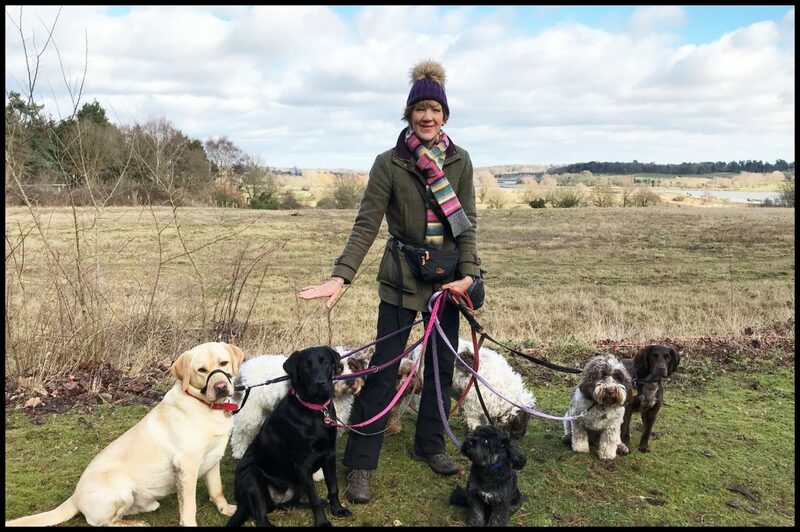 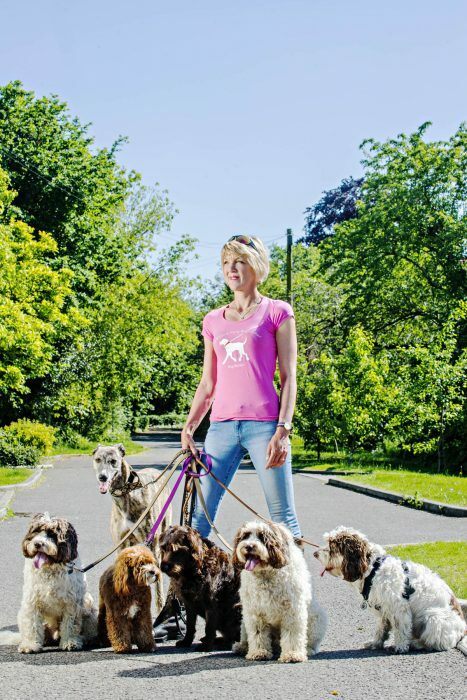 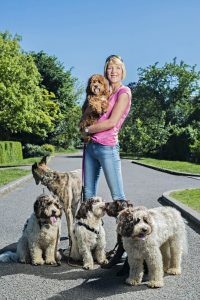 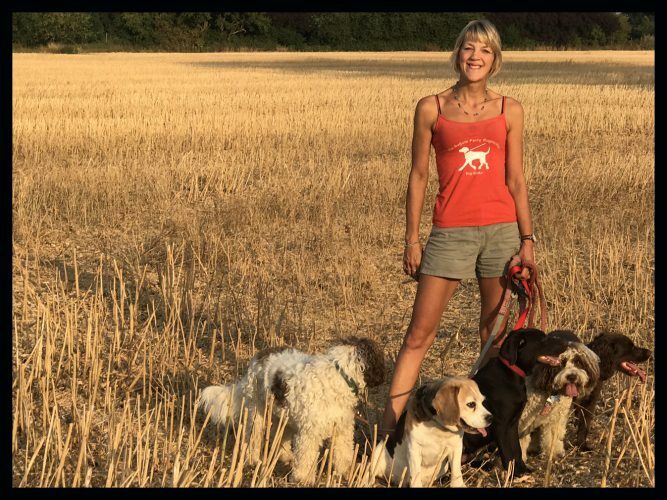 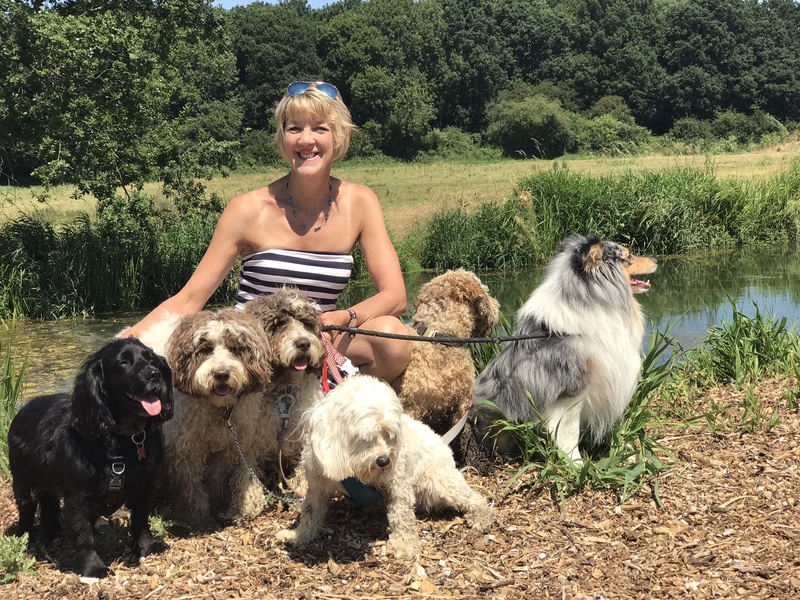 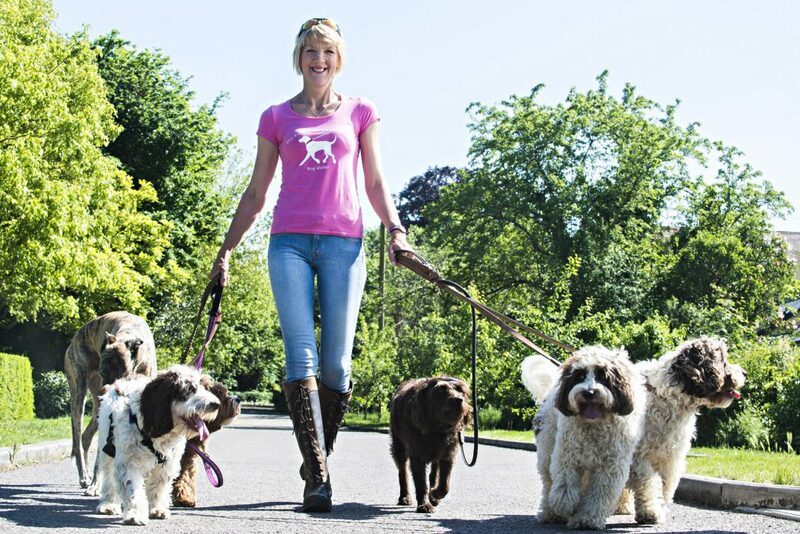 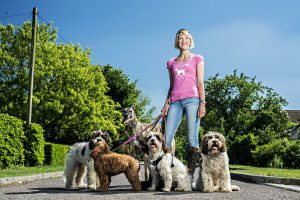 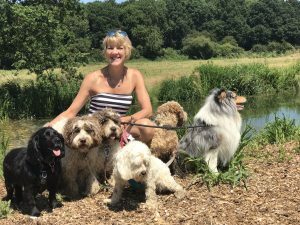 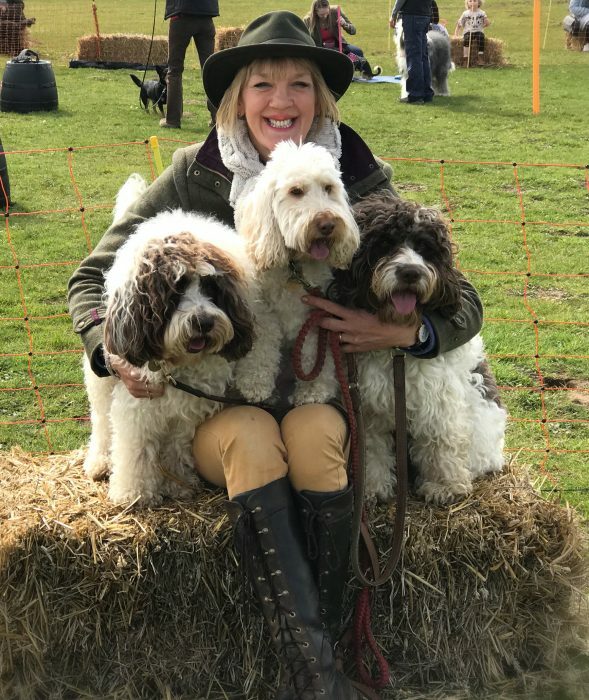 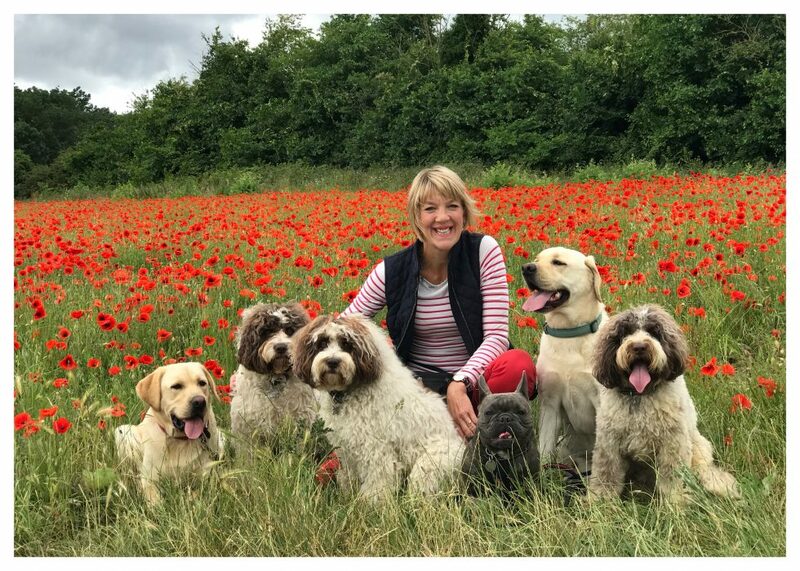 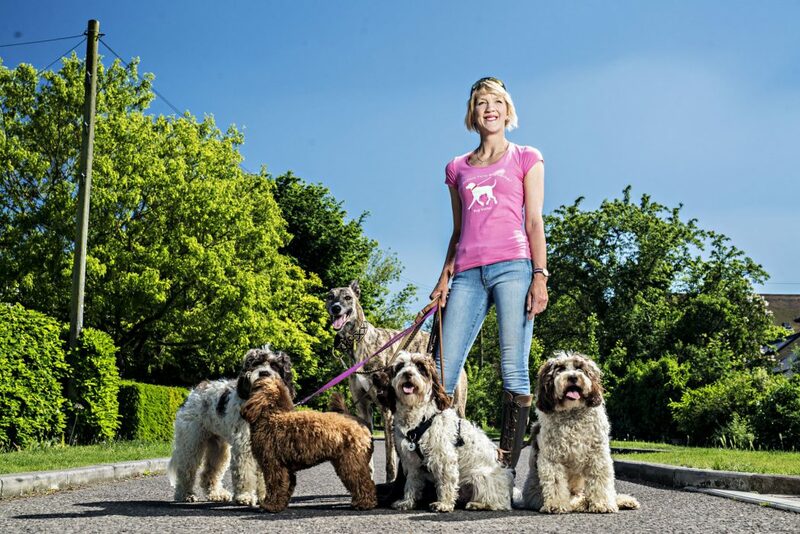 Walking dogs is what makes me happy, I can be mostly found in Christchurch Park excising my client’s dogs and of course having fun. 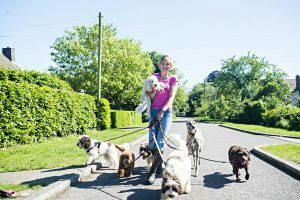 The social aspect of walking dogs in a group gives them amazing social skills and you can really see they move as a pack. 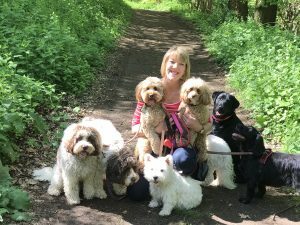 For my new dogs, it’s a welcome sight to see them mixing with the other dogs in no time at all. 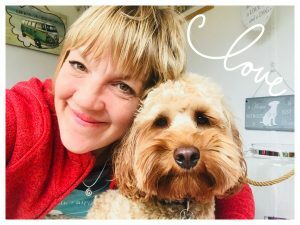 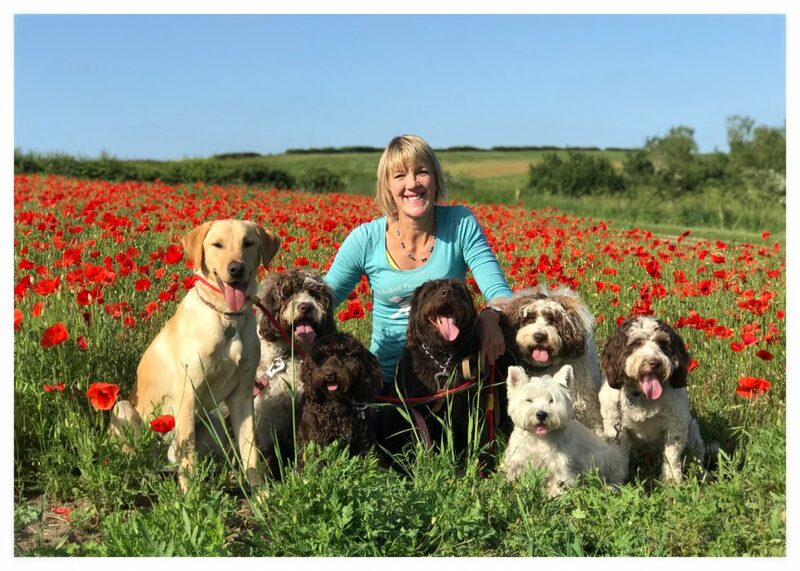 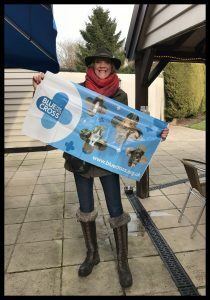 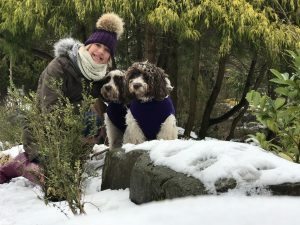 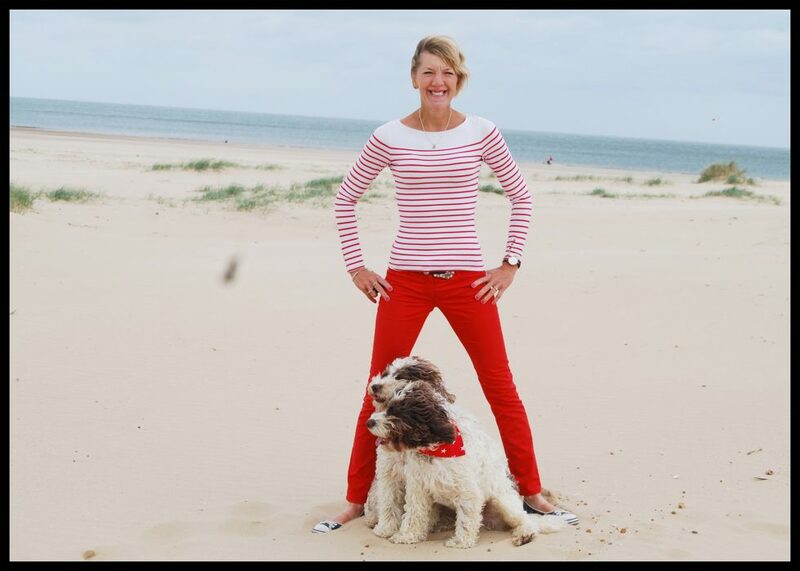 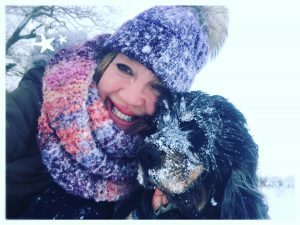 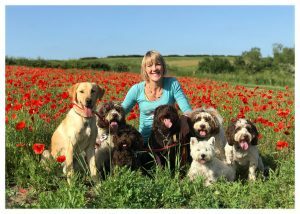 I am CRB registered and have Public Liability, as well as being licenced to board dogs, which allows me to offer our Dog House daycare and Sleepovers or Holiday Stays. 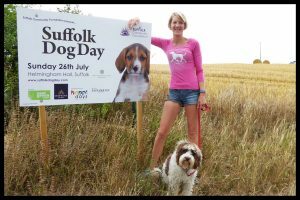 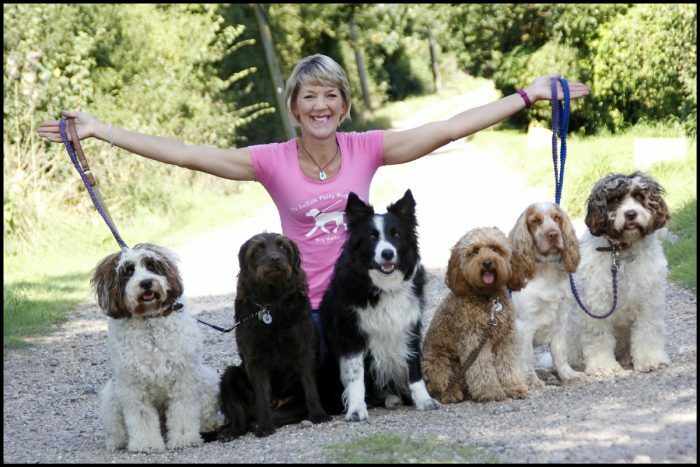 So if you are thinking of having a night out or weekend away you can always rely on the Suffolk Fairy Dogmother to look after your cherished member of the family. On our Doggie days out we do like to visit all manner of places in and around Ipswich, so somedays we may go to the beach and other days we could be in the forest. 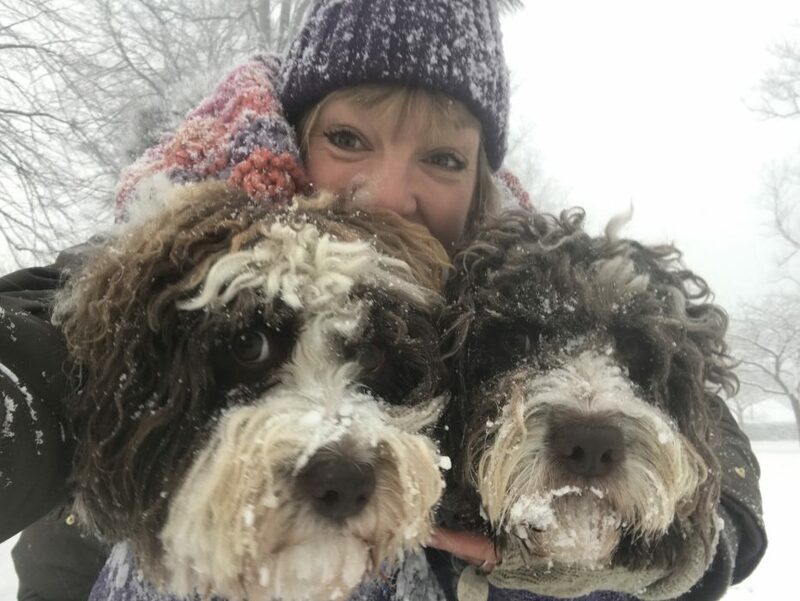 Weather permitting and depending on who is in the gang that day will normally depend on location and activities.